The Memoirs of a Geisha tells the fascinating story of a girl that doesn't want to be ordinary anymore. You want to know more about Japanese life? Or how a girl born in a small village can become one of the best geisha in history? Then probably you would like to read The Memoirs of a Geisha and answer those questions. This quarter the book I enjoyed most was Memoirs of a Geisha. I guarantee that if you have liked the movie, you'll be delighted with the book also. It was a bit long, but so much is happening throughout it that you never get bored. 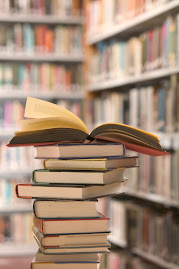 What's great about the book is that it follows the path of a young girl growing, changing, succeeding and failing. It is definitely not a book for boys, though, girls would enjoy it much more. 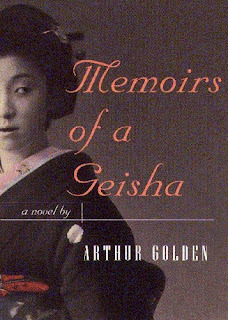 The dramatic novel, Memoirs of a Geisha, by Arthur Golden, has everything - obstacles, a love story, and more... It is one of the saddest books I've ever read for it is filled with emotions and pressure. The story is about a little Japanese girl who lost everything: her family, her home... but she has an ambition, to become a geisha, moving art. After so many obstacles, and after so many years, little Chiyo finally finds her danna.